Watch Kaidan Restaurant full episodes online English Sub. 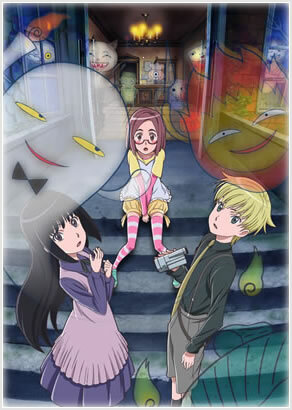 Synopsis: TV Asahi announced a new kids anime “Kaidan Restaurant (Thriller Restaurant)” based on a picture book. Each episode will consist of three stories or “dishes”: the appetizer, the main dish, and dessert. The first two “dishes” will deal with an ordinary sixth-grade schoolgirl named Ako Ozara and the bizarre occurrences that befall her classmates. The third “dish” will be a standalone short ghost story told by Ako and her friends.